The spooky season is upon us, and what better reason to get creative in the kitchen than a fun holiday? We’ve rounded up five Halloween recipes perfect to make next week for a fall potluck, themed party, or—knowing how awesome these recipes are— just for fun! This easy appetizer is the ultimate Halloween party starter. Cheese puffs ground up in your Bosch Mixer food processor attachment give it an orange hue, while a bell pepper stem sits at the top to make the stem to your homemade cheese ball! Your guests will be delighted by these cute empanadas. Their savory insides combine pumpkin with traditional vegetarian empanada fillings to create the perfect fall flavors! You can make “bloody” mini pies with any filling you like! Try the spiced filling from these hit Cinnamon Apple Mini Pies or use a combination of cream cheese and nut butter, the options are endless! Dip the final little pies in a cranberry sauce and add homemade marshmallows cut diagonally for fangs. Whipping up these meringues are simple with your Bosch mixer! Add pumpkin pie spice to give it that authentic taste. Use Bosch’s recipe for the perfect red velvet cupcakes. After your cupcakes have completely cooled, start from step four of this recipe to create the gooey raspberry jam filling, cream cheese frosting, and give your cupcakes their signature vampire fang bites! 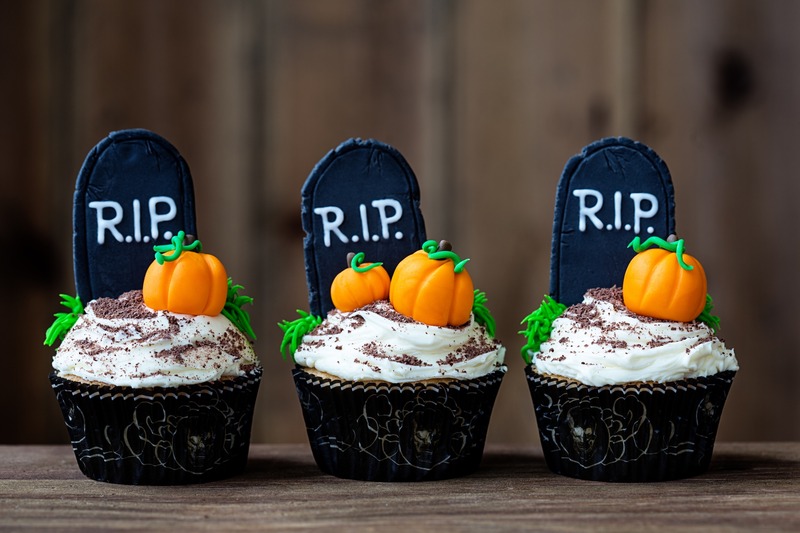 Serve these Halloween treats up at your next party and you’ll look like a total pro! Using a Bosch kitchen machine is one of the best ways to cut down on food prep time and can help you make elaborate baking easier. If you don’t have a Bosch mixer, you will definitely want one to help you with all the upcoming holidays from Halloween onward.